The last thing you think when driving a McLaren 720S is ‘this car needs more power’. So why on earth would anyone bother to tune one? Well, DMS has been developing packages for McLarens since the 12C, remapping the turbocharged V8 to increase power and improve driveability. 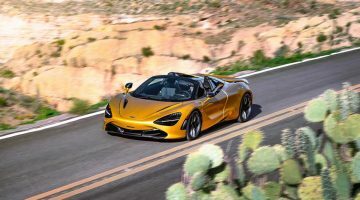 So when the 710bhp 720S was released, DMS set about extracting more power from it too, because, for whatever reason, that’s what its customers will expect. Without the strict confines of OEM tolerances, DMS’s software changes alone increase the engine’s outputs by 100bhp and 74lb ft, but you don’t have to stop there. The standard catalytic converters can be replaced with higher-flow units, which, combined with the remap, allow the engine to produce a massive 819bhp and 657lb ft of torque – 109bhp more than the standard 720S, and 30bhp more than the lightened, stronger version of the same engine in the Senna. It’s impossible to experience the full performance of the DMS car on the road, not least because your driving licence could be whisked away from you before you’ve even tried full throttle. An open, quiet, two-mile-long runway, however, is the perfect place. Getting a clean run isn’t easy with so much performance and only rear-wheel drive to harness it: the initial take-off is good when using launch control, but at the top of second and third gears the rear wheels start to spin as the turbos boost even harder. And that’s with the traction control on. The additional 109bhp clearly has the better of the driver aids, but rather than intervening furiously, they allow the car a bit of freedom. Once it’s built some momentum, this 720S feels unstoppable – only at around 305kph does the digital dash stop scrolling through numbers at an alarming rate. We record a 0-100kph time of 2.96sec, which is 0.23sec slower than a standard 720S we timed on a different day (although admittedly this was with the help of some McLaren engineers). After 100kph, however, the DMS car starts to catch up. By 160kph it has just edged ahead, and it reaches 241kph in 10.15sec – 1.4sec faster. The runway isn’t long enough to reach (or pass) the regular car’s top speed of 341kph, but even when leaving a generous distance to slow down, it isn’t difficult for the 720S to hit 321kph. Because you can’t do such speeds on roads, for DMS’s upgrades to be worthwhile they need to bring benefits on the sort of tight, twisting tarmac that makes up a typical just-for-fun blast. And, although it seems ludicrous to write this, the extra power actually makes the 720S easier to drive. When you’re in the mindset to enjoy every corner and relish every straight, the car responds more keenly to throttle inputs. Every touch of the accelerator has the 720S up on its toes, straining at its electronic leash. With the revs high you have exceptional control over the engine, and now the relaxed traction-control system that eroded the car’s acceleration times can be used to your advantage, as it’s you who decides how much power the rear tyres can handle, not the electronics. Deploying and managing such a magnitude of performance on the road is an exhilarating feeling, but one with a heavy weight of responsibility attached. As you’d expect from an 819bhp rear-wheel-drive turbocharged car, it can be scary at times. 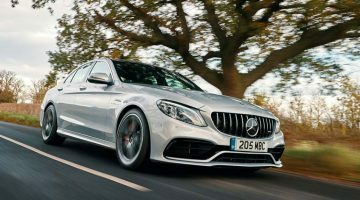 When you’re relaxed, driving at a decent pace but perhaps not considering each braking point and apex in scrupulous detail, the engine frequently operates just off-boost. Then occasionally, say in a straight line when pulling (relatively) gently away from a corner, you’ll breach 5000rpm and then all hell breaks loose to make things really interesting. The transition from off to on boost is more pronounced with the DMS upgrades, and the tyres will spin as the turbos start to whoosh and whistle. It’s here where you can be caught out, as the overburdened ESP system pretty much holds its hands up in surrender, leaving it up to the driver to manage the situation. Fun… at least some of the time. This is a car that not only deserves your full attention, but requires it; you cannot become complacent and relax. But how many 720Ss are going to be used on daily commutes or to carry out mundane tasks? Very few indeed. 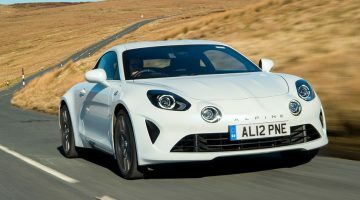 So why not have a supercar that’s a little bit more frightening – especially as it’s also quantifiably faster and even more enjoyable when you’re switched-on and ready. The full DMS package for the 720S costs $11,700, for that you get the ECU remap and the high-flow catalytic convertors. However, the ECU upgrade on its own costs just $6200. Neither seem particularly expensive considering the 720’s list price of $271,800. Compared to a McLaren Senna, the DMS 720S is an absolute bargain if you consider ultimate power as the most important aspect – it’s 30bhp up on the limited-production track special yet over half a million pounds cheaper. That said, everything about the Senna is an improvement over the 720S – chassis, aero, brakes, tyres – not just the engine.